Excellent summer and autumn flowering plants as well as some foliage types. Many are tidy clump formers and not the thugs that many imagine the whole family to be. In particular types of P. amplexicaulis are very good for naturalistic style gardening. 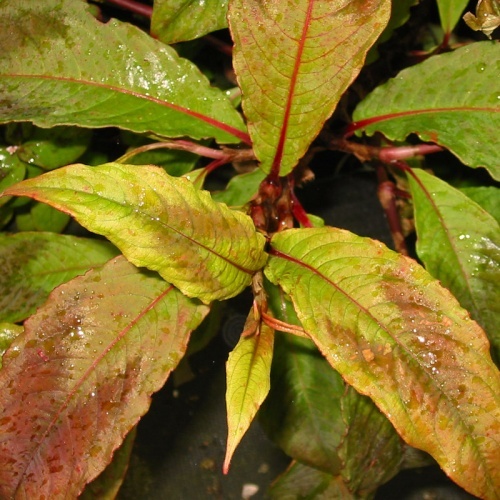 Persicaria is a family that warrants careful consideration before planting as it does include some highly invasive species - we have done the checking for you and only offer well behaved types and spreaders that are controllable. 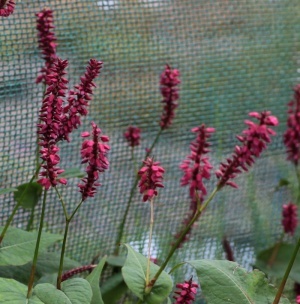 Of course even the spreaders are welcome in the right place and Persicaria nepalensis (the only real spreader we offer) provides an excellent groundcover under trees where the poor, rooty soil prevents many other plants from growing. 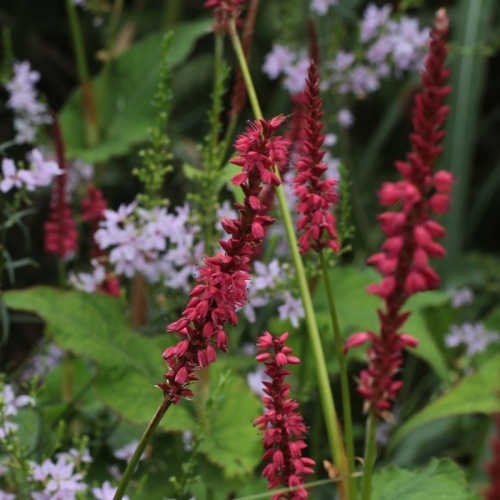 The clump forming herbaceous species, Persicaria bistorta and Persicaria amplexicaulis are exellent border plants that mix very well with the wide range of Hardy Geraniums and Ornamental Grasses that we grow. 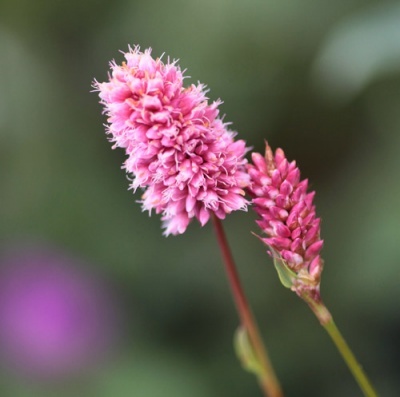 There are many excellent new cultivars of Persicaria amplexicaulis available, many from the breeding of Belgian collection holder Chris Ghyselen. Syn, P polymorpha. A giant clump forming perennial with fluffy spikes of white flowers almost all summer, pinkish red seedheads later. Lush green leaves too. Ordinary soil in sun. 2.4m. 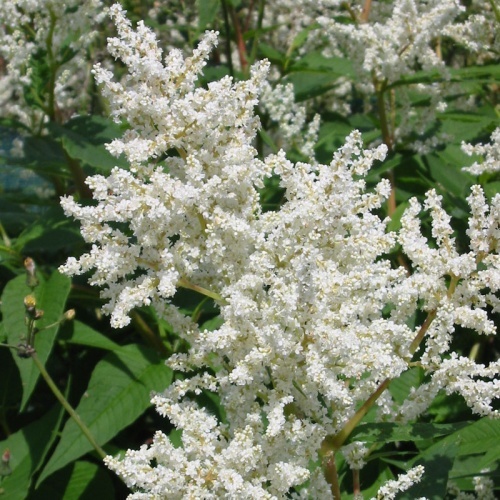 Slender white spikes over large pale green leaves in summer. Decent soil in light shade. 90cm. One of the best, older forms with masses of good sized spikes of ruby red flowers from midsummer til late autumn. Clumps to 1.2m. Ordinary to good soil in sun or light shade. 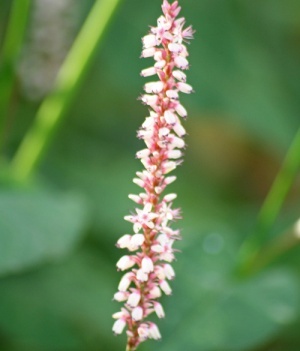 A neater grower than the commonly seen Persicaria amplexicaulis, Persicaria bistorta makes a clump of spear shaped leaves and in this form masses of slender, but strong, stems topped with pink spikes in early summer to 40cm. Tight clumps of upright stems bearing amazing satiny olive leaves with a dark brown chevron. Spires of tiny red flowers in autumn. Part shade or shade, ordinary soil. 90cm.